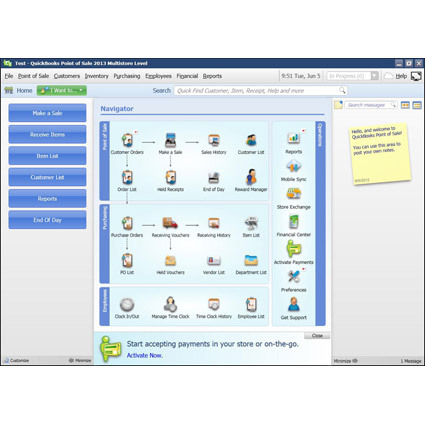 Intuit QuickBooks Point of Sale 2013 Multi-Store software combines their Pro edition with multiple location management, ideal for larger retailers who are looking to open a second store or already have multiple stores they´d like to manage from a single office. With access to sales and inventory reports for each store location, plus additional features including mobility, QuickBooks Point of Sale 2013 Multi-Store is a powerful solution. 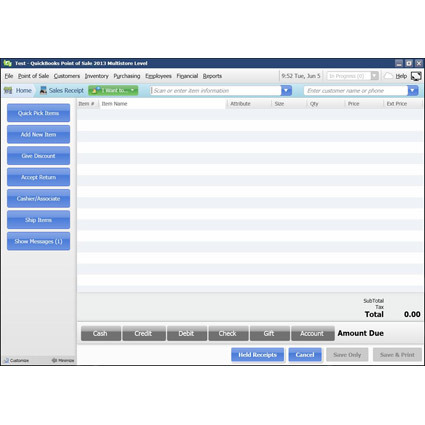 Mobile POS is an easy way to build your brand outside the four walls, and QuickBooks Point of Sale 2013 provides mobility through any iOS or Android device. Simply install Intuit´s mobility app and transfer necessary inventory items to the device, and you now have a complete mobile POS solution perfect for trade shows, field sales calls, and more. Credit card payments can be accepted using Intuit´s GoPayment platform, saving you time. 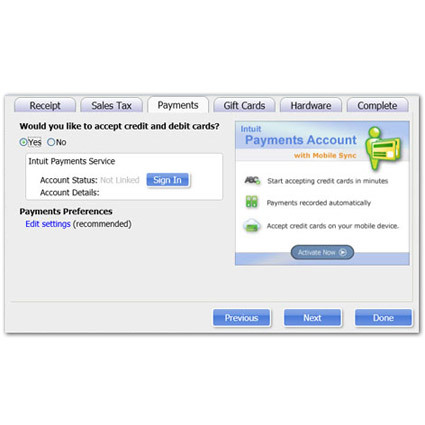 QuickBooks Point of Sale 2013 is designed to minimize setup, allowing you to focus on the customer. A walkthrough during setup asks important questions about your business, taking out the guesswork of entering in the right info. Inventory can be added manually or imported via Excel file, further saving time. And when integrated into an existing QuickBooks Financial setup, customer data is copied over with ease. Training employees has never been easier than with QuickBooks Point of Sale 2013. Built-in tutorials help train new employees on the various features and functionality they´ll need when ringing up customers. 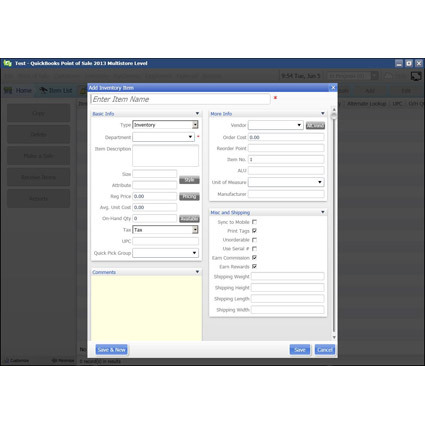 For added safety, QuickBooks Point of Sale 2013 comes with a Practice File, a demo store inventory you and your employees can test the various features of the software.